Cameron University is also featured in our ranking Top 25 Most Affordable Online Bachelor’s in Accounting. The Department of Business at Cameron University offers a number of business programs that now includes a Bachelor of Accounting program. One unique feature of this program is that it allows students to take as many business classes as they would like. This gives them a better understanding of business operations, which will help them in the future. Students can also use those skills to make the transition into the Master of Business Administration (MBA) program offered by the university or one of its other graduate business programs. Though all students must take 44 credits of general education classes, they have the option of taking those courses at the same time that they take accounting classes. Cameron requires that students take 32 credits of core classes, 24 hours of advanced accounting classes and 15 credits of business and similar courses. Cameron also offers a Bachelor of Business Administration (BBA) with a focus on accounting too. Designed for those who want to learn about accounting while focusing their studies on business, it allows students to pick a specialization in one of several subjects. Students in this program will take some of the same courses that accounting majors do, but they will also take finance, marketing, and economics classes. The university has a two-year program available for business majors too. Students can earn an Associate of Science in Business from Cameron University and then transfer to a bachelor’s program. Cameron University is a public university in Oklahoma that receives funding from the state. The state of Oklahoma established multiple agricultural schools just after the turn of the 20th century and after becoming a state. Though the Catholic Church hoped to help with the funding of the school and make it a religious institution or one that only accepted young men, it eventually opened as the Cameron State School of Agricultural. During the more than a year that it took to construct its campus, the school offered classes in the basement of a local building. Also known as the Cameron State Agricultural College for many years, it offered high school classes before becoming a junior college. 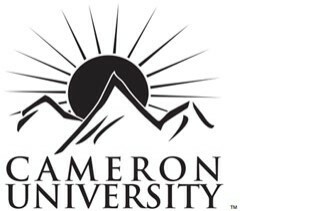 Its commitment to its students and its expanding curriculum led to the school becoming Cameron University and adding bachelor’s degree programs. The university now offers both traditional degree programs and specialized programs for working students. Older students and other nontraditional learners can take classes at night. Some weekend classes are also available as are online classes. The university now offers graduate programs and undergrad programs, and students can earn associate’s degrees from the university too. Cameron saw a slow increase in its enrollment over the years and now has a student body of more than 5,000. Many college students today need financial aid, which they can only get if they attend a school with regional accreditation. The regional accreditation that Cameron University has comes from the North Central Association of Colleges and Schools (NCACS). Students can complete the FAFSA and file it online to find out if the university and the government will offer them any aid for the coming year. NCACS accreditation also allows transfer students to bring credits into the university’s accounting program. The Cameron undergrad accounting program has accreditation from the Accreditation Council for Business Schools and Programs (ACBSP) too. Admissions counselors working for the university can meet with students and chat with them over the phone or through email about their needs. Students can also get help deciding which application to use. The university offers standard applications and special applications for military and transfer students. Incoming students must meet several requirements, including receiving a set score on an entrance exam and taking some college prep classes. The college prep curriculum that the university recommends students follow will include four years of English classes, three years of math, science, and history or related classes and two years of electives such as computer science or foreign language courses. Students must also score at least 940 on the SAT or score 20 or higher on the ACT. The university will accept students with a lower test score if the student has a cumulative high school grade point average of at least 2.7 and graduated within the top 50% of their high school classes. Students must also have a high school diploma or a GED to enroll in one of the associate’s programs offered by the university. Cameron uses test scores to determine the placement of students in certain subjects such as math. Those with higher test scores can skip some of the lower classes. The university requires that students maintain a 2.0-GPA in the first 24 credits that they take. Those with a lower GPA will land on the university’s academic probation list. Incoming students must also use the Cameron admissions application. Like other schools, the university allows students to create an application account and use their personal information to log in and out of the system. This lets them go over their applications before they submit it. The university offers a standard tuition rate and a guaranteed tuition rate for incoming undergrads who are also Oklahoma residents. Its guaranteed tuition rate is $238 per credit hour and allows students to pay the same rate while attending the university. The standard rate is $215 per credit hour but does not guarantee that students will avoid any future tuition increases. Cameron charges a tuition rate of $529 per credit hour for nonresidents. Any student who cannot prove that he or she is a resident of the state will pay this rate. Students will also pay a $20 application fee and some miscellaneous fees each semester. Most students who need financial aid will submit the FAFSA. They can go online and access this form in October, but they have until classes start to file it. Cameron recommends that students submit the FAFSA form earlier in the year because it only has a certain amount of financial aid to hand out every year. The FAFSA will determine whether students can participate in its work-study program and if they can take out loans or get any grants. Cameron University will provide students with digital and/or paper letters that show their financial aid packages.